Please help me how can I set the width of the calender label and button to get beautiful 100% width on mobile. Now on desktop is ok, on tablet is ok, but not seen the date label... and I attached how seen on mobile device. Can you please send me a link to your form so I can take a look at the CSS from the first hand? Also, have you checked the "Mobile Forms" or "Force Mobile Forms" checkbox in the form's Advanced properties? 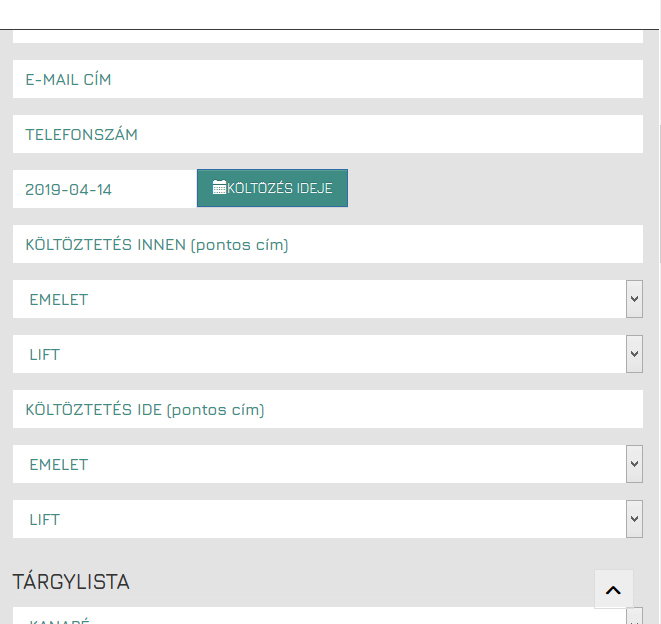 I took a look at your form on mobile and this is how your form looked like. The calendar element was stretched through the whole page. Either way, to make sure it looks like this on all mobile devices you can try to add some CSS code to your form. Do that as follows. Let me know whether this resolves the issue. Ok, I understand, because the width of the button is now too big. Back to your previous post "I tried with mobile forms and force also, but the same. I tried to set it, so maybe my changes cause that not work these functions?" What exactly did you mean that didn't work?